* '''PMs''': please read <code>/msg *simple_away HELP</code> Yes, use the <code>*</code>. * '''Auto away''': The BNC will set your away status automatically. Read <code>/msg *simple_away HELP</code> to read about auto-away and its settings. 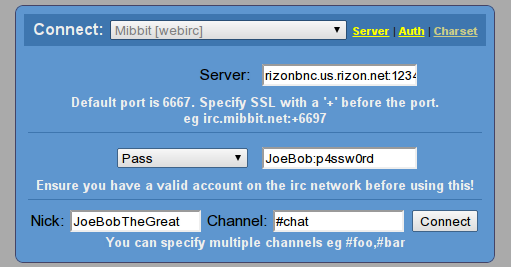 * '''Channel messages''': for each channel you want messages from, <code>/msg *status SETBUFFER <em>#channel</em> 100</code> will send you the last 100 messages on the channel when you connect to the BNC. 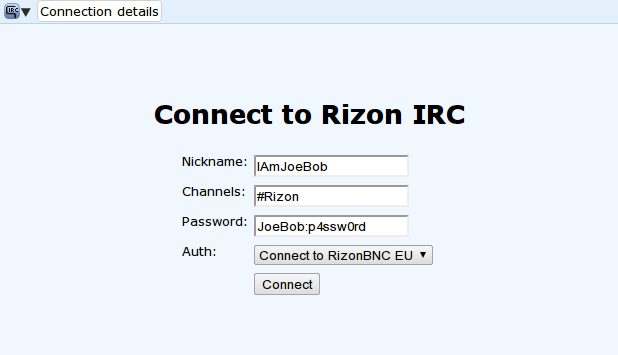 * '''Private messages''': Private messages you received while not connected to the BNC will automatically be sent to you when you connect to the BNC. ** The maximum amount of lines you can set for a channel buffer is 1000.